If you’re a Mac user, you’ve probably used Spotlight to find things on your computer. The file you were working on last week, but you can’t remember where you saved it. Or the graphic you used last year, and you’ve completely forgotten where it is. Or maybe even an app you downloaded to try out, but never got around to trying it. But did you know that Spotlight even searches the Internet, making it a great alternative to Google? That’s right. 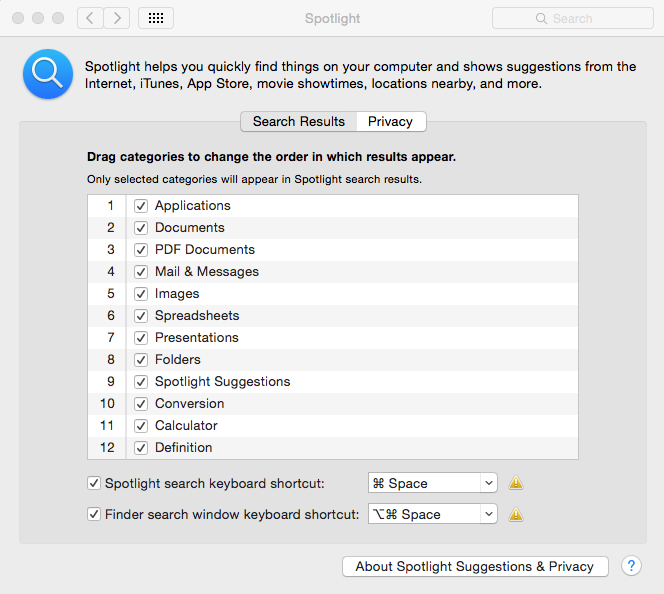 Spotlight searches “categories” based on how you set it up in System Preferences. And these categories can include searching the Internet using Bing. Just click on the Spotlight icon in System Preferences. Then check all the items you want included in your search results, and drag items up or down to determine the order in which the results are shown in Spotlight. In the picture below, I have Spotlight set up to show applications first, since that’s what I usually want to find quickly. Then I want to see documents, PDFs, and so on down the list. I have Bing search results last on the list (and you can’t see it because it’s #21 on the list) because I always want to search my system before I venture out to the Internet. If you notice numbers 10 and 11 on the list, you see Conversion and Calculator. This means I’ve turned on a particularly useful feature of Spotlight — its ability to convert currency and perform mathematic calculations! 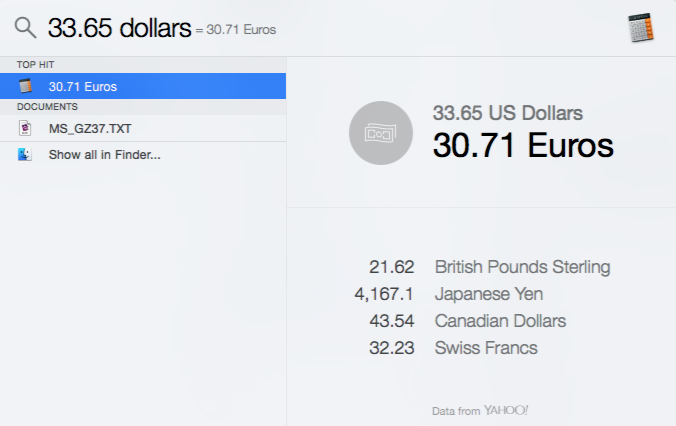 Just type in 33.65 dollars to see what $33.65 us worth in various currencies. 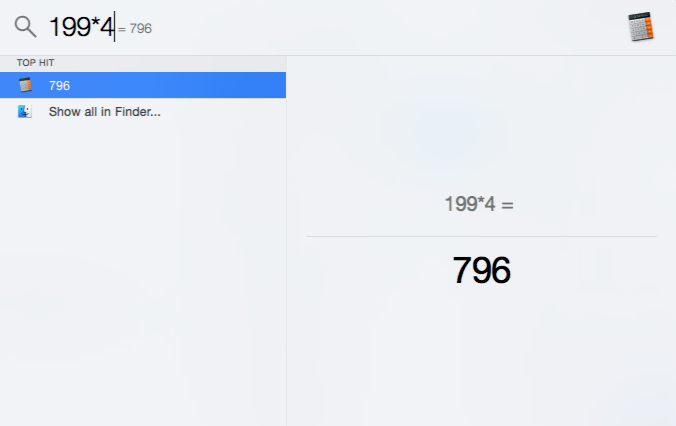 Or just type in a simple math formula, such as 199*4, to quickly get results. So start making use of Spotlight’s features. Once you get in the habit, you’ll find it a handy way to quickly get to the information you need.